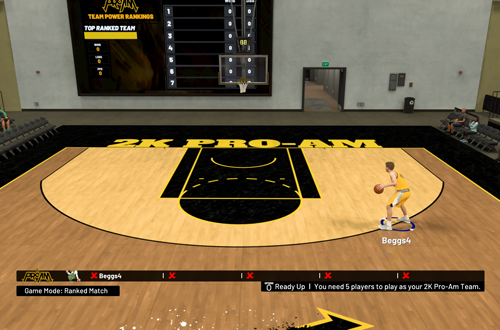 While the exact reason hasn’t been openly promoted – communication definitely isn’t one of 2K’s strong suits, after all – it can be assumed that the aim is to make Pro-Am and the Jordan Rec Center resemble the NBA 2K League. That means five users to a team – preferably a squad that plays together regularly – and no AI players. It’s an approach that promotes familiarity and teamwork, without the influence (positive and negative) of players controlled by the CPU. In that respect, it could also serve as a development system for the NBA 2K League, training gamers for eSports gameplay and offering 2K a means of scouting prospects. In theory, it’s a decent concept. With that in mind, anyone complaining about this change is just a bitter hater, right? A case of sour grapes from gamers who don’t want to play team basketball, and/or have no chance of ever making the NBA 2K League, perhaps? Not quite. Certainly, there may be gamers in the community with that attitude, but there’s a legitimate problem here. The approach serves as a form of gatekeeping, excluding gamers who can’t meet the new squad requirements each and every time. Didn’t mind a couple of AI players joining the action in order to get a game in previous years? Too bad! This is how the online team play modes are designed, now. It’s not for you filthy casuals! Of course, the line in the sand that designates someone as a “casual” is imprecise and ever moving, because that’s how gatekeeping works. As I said when I discussed the problem of toxicity in the community, it’s bad enough when we gamers do it to each other, without developers catering to it as well. Unfortunately, 2K has been inching further and further in that direction. Consider the requirements to unlock the Auction House in MyTEAM; already an iffy idea. Until Patch 1.04, it was necessary to win online to unlock what is a basic single player function. With pay-to-win mechanics and hacking, it’s not just a matter of so-called “casuals” not being good enough. 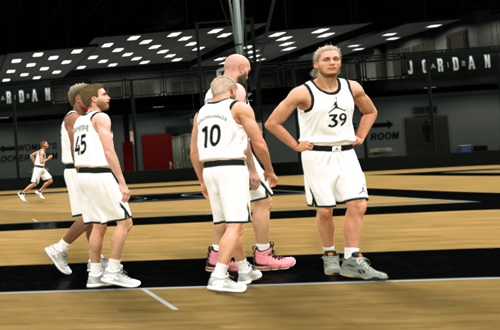 This change to squad requirements for Pro-Am and the Jordan Rec Center is treading the same path. While it certainly is fun and (theoretically) fair to have games where every player is controlled by a user, it’s not always feasible. Many of our sessions of Pro-Am have been played with three or four users, and it’s worked out fine. More to the point, it’s better than not being able to play at all. 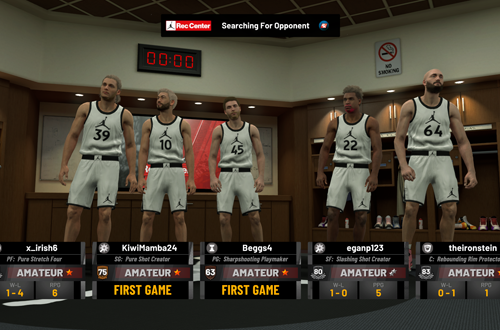 Only four of us picked up NBA 2K19 at launch, which left us short a player. We now have five people in our group that own the game, but that fifth member lives on the other side of the world, and there’s no cross-region play this year, making it a moot point anyway. That’s why four of us have been squadding up and heading to the Jordan Rec Center, as it’s the only way we can partake in that familiar Pro-Am experience. Since the Rec Center has the same requirements, though, we have to wait around for a fifth player to join us. Again, we have had some enjoyable games so far, but there are a couple of recurring problems. First of all, as anyone who has teamed up with random players in an online game can attest, their quality of play and willingness to work as a team isn’t always satisfactory. Second, said random players need to show up in the first place. We’ve found that when you’re a team of four, it can be difficult to find a fifth. The result is a lot of sitting around, waiting for a game. At least in previous years, we were able to shoot around in the arena while we waited. Now the modes suffer from the same drawbacks as Got Next in the Playground. Instead of us being able to jump online and quickly get into a game, we’re watching other people play, or our players stand around in the locker room. Maybe I’m showing my age here, but I don’t find much enjoyment in that. I play video games for an interactive experience, not a passive one. The previous system worked just fine, but perhaps it allowed for too many gamers that don’t fit the image the NBA 2K League is striving to promote. 2K’s continued trend towards gatekeeping in popular modes is disheartening. Online team play should be accessible to all gamers new or old, inexperienced or elite. If there’s a robust matchmaking system in place, it’s an experience that can everyone can enjoy, with the best players squaring off against each other and the less experienced users honing their skills against competition on their level. Again, I have to refer to Rocket League here. It features both competitive and unranked modes along with a deep ranking system, allowing for both fair matchmaking and accessibility. Bots will also take over when a user drops from the game. Speaking of which, that’s another issue with this new approach. When users foul out, grade out, or ragequit, or if there’s a connection issue, the CPU takes over anyway. In that regard, the approach hasn’t eliminated AI-controlled players from the online team play experience. It’s only made it more difficult to get a game in the first place, with potentially lengthy waiting times and frustrating experiences further discouraging gamers when they do get to play. What’s really frustrating is that they had a viable solution in place already. Simply put, our MyPLAYER shouldn’t be the only “AI” who hits the court in Pro-Am or the Jordan Rec Center in NBA 2K19. We can try to understand 2K’s motivations here. Promoting the NBA 2K League is obviously in their best interests. If they’re aiming for the best multiplayer experience possible by getting rid of AI players and trying to cater to the most dedicated fans of the Pro-Am modes, it’s an admirable goal. The approach itself is misguided, but it would have good intentions. Even locking the Auction House in MyTEAM has merit in so much as it’s a potential deterrent to anyone who wants to try to crash the market or otherwise cause problems for other gamers. It was also a clear case of gatekeeping though, and so the harsh requirements were subsequently addressed in Patch 1.04. Sadly, it doesn’t seem like the squad requirements are going to be changed in a patch. It seems as though this is what 2K wants for those modes, and it’s unfortunate to see them indulge in such gatekeeping. It sends the message that there’s only one way to play those modes, and that they’re only meant for an exclusive portion of the userbase. Considering how 2K loves to brag about NBA 2K’s sales and the amount of time that users are spending playing the games, it’s a slap in the face to shoo users away from a mode because we don’t fit an image that 2K would prefer. In other words, an image that promotes their fledgling eSports league. I hope I’m wrong. I hope there’s enough interest (and indeed, backlash) to make them reconsider this approach. Not unlike microtransactions, gatekeeping demonstrates a rather disdainful attitude towards a very loyal and enthusiastic fanbase. 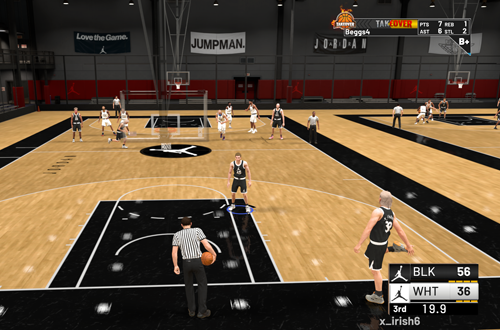 Frankly, I’d suggest that the more people that can get into Pro-Am or the Jordan Rec Center, the more interest there’ll be in the NBA 2K League as well. Ronnie 2K, of all people, recently spoke about the importance of authenticity. The authentic step to take here would be to listen to the community, and bring back the three users per side minimum for the Pro-Am modes. Deeper matchmaking would also enhance accessibility. Above all, leave gatekeeping to the toxic, elitist, “git gud” snobs that the rest of us can just ignore while we have fun with our basketball gaming. 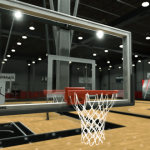 I tried the rec center as an alternative to park play: more sim, more team (even though there’s more human controlled players), and not everyone running away from you if you’re a low rating (I was using it to test out a rebounding defender max everything center). The fact that it’s matchmaking is an immediate plus (unlike the park), but the length of games is much less feasible than a park game. I found when I matchmade with a center it was the fastest a game started for me, since it’s probably the least played position out there. By far my biggest regret regarding MyPlayer this year was making a wing player (rebounding defender SF) that can’t shoot; it has hurt me in both Pro-Am and park. Yeah, Pro-Am is more of an investment when it comes to time with five minute quarters plus stoppages (to say nothing of waiting for teammates and opponents). Non-shooting builds are definitely tough online.